In Vancouver, we continue to see both Momentum and Engage cohort participants. We are seeing participants for their 3rd visit and continue to recruit new participants. Recruitment picked up over the past few moths and we are averaging about 40 new participants per month. To aid with recruitment of HIV-positive participants, we recruited 10 more HIV-positive seeds in April and May. With this addition, Vancouver has reached 421 participants and recruitment is ongoing. Much of the earlier part of the year was spent preparing for the 4th annual Engage pre-CAHR meeting which was a success (see below). 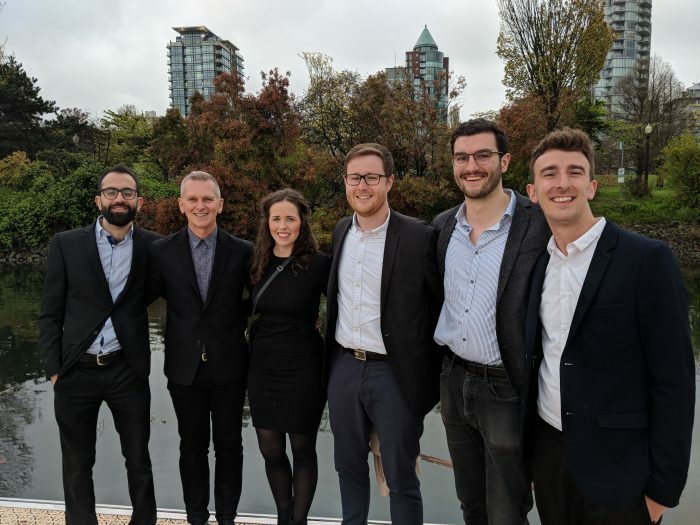 The rest of the year will be focused on boosting recruitment especially through a promotional campaign during and after Pride Vancouver and a partnership with the Vancouver Queer Film Festival and Momentum Trivia Night/KTE event on Aug 13th. To further our recruitment efforts we encourage out BC partners to share the Momentum flyer (attached), like and share the Momentum Facebook page and refer recruits to our online appointment booking platform. We are also looking forward to the Annual Gay Men’s Health Summit that will be held from November 8-10 in Vancouver. The theme this year is “How’s your Head? Sexual Identity, Mental Health and Substance Use” and will be a forum for addressing the impact of mental health on overall gbMSM health. After one year since the initiation of baseline recruitment, Toronto is at 285 participants. Recruitment began to slow down in December 2018. Since then, the Toronto site has made several efforts to re-ignite recruitment. Ethics approval was sought and received to add an additional 30 seeds (for a total of 70). To bring in new seeds and encourage recruits to redeem their recruitment vouchers, multiple rounds of Facebook ads were purchased, increasing awareness of the study online. During Pride month (June 2018), Engage staff also conducted outreach at a number of Pride events. 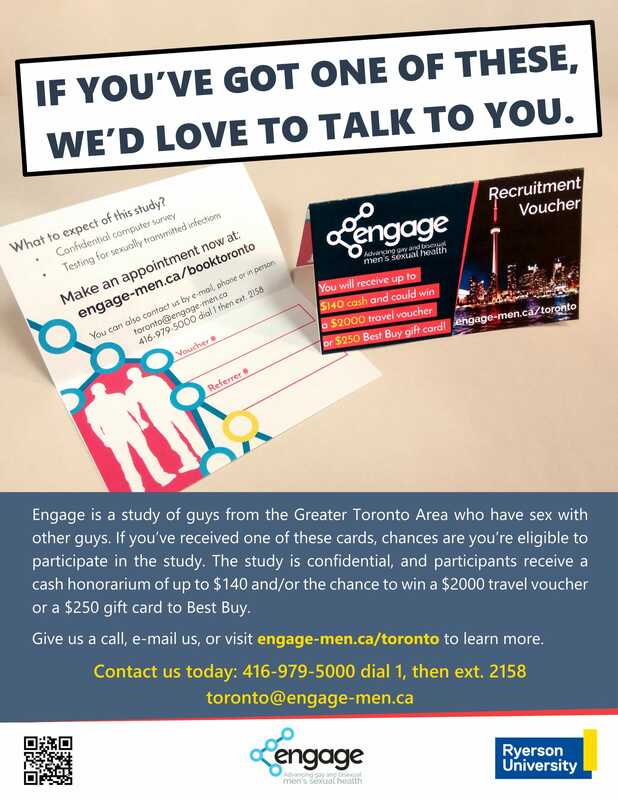 To help increase recruitment numbers in Toronto, we encourage Ontario partners to share the Engage Toronto flyer (attached), like and share the Engage Toronto Facebook page, and refer potential seeds to toronto@engage-men.ca. You can also help recruit new seeds and CEC members by sharing the attached CEC and seed recruitment flyer. 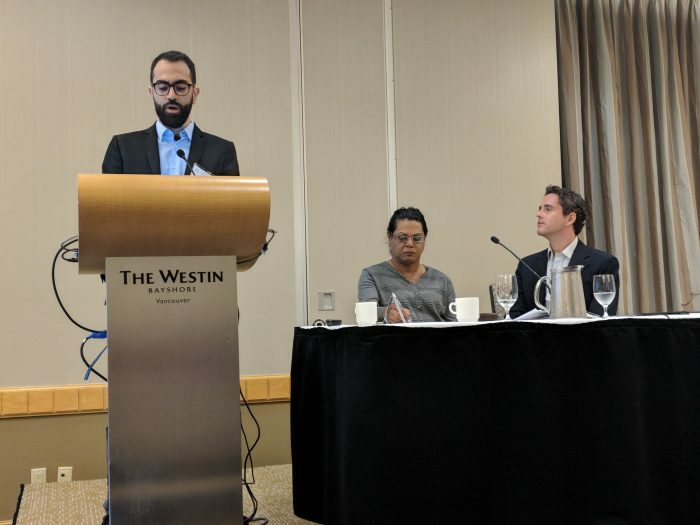 In May 2018, the Toronto site began inviting baseline participants to return for a 1-year follow-up. The 1-year follow-up will allow the Engage team to monitor key behavioural and biomedical variables over time. Such variables include things like PrEP use, treatment as prevention, access to services, and HIV/STI prevalence. As part of the 1-year follow-up, HIV-negative participants will be asked a series of questions about blood donation policies to provide data on acceptable blood donation policies for gbMSM. To date, 34 participants have completed a 1-year follow-up. In June 2018, the Engage Toronto site received approval from Public Health Ontario to transition to nucleic acid amplification testing (NAAT) for gonorrhea and chlamydia in throat and rectal sites. NAAT will decrease participant burden by reducing the number of swab samples that Engage participants must provide for STI testing, and by decreasing the frequency of inconclusive test results (which require participants to complete repeat testing). NAAT also has a faster turn-around time than culture testing, allowing participants to receive their results sooner. The Engage Toronto site is in the process of completing all of the administrative tasks necessary to transition to NAAT, and it is expected that NAAT will be used for throat and rectal sites beginning in August 2018. Engage Montreal has completed cycle 1 recruitment, with a grand total of 1185 participants. A big thank you to all our participants, and to the Engage Montreal staff for their tireless efforts. Recruitment for the second cycle of Engage data collection is well underway, with 154 participants seen or booked so far, with additional cycle 2 participants booked every day. Participant retention appears to be high, with only a small proportion of participants being lost-to-follow-up (mostly due to a lack of a method to contact them). The small number of participants deemed ineligible after their cycle 1 visit are not being invited to return for a cycle 2 visit. We have increased the number of people we can see at the site at one time from 3 to 4, which allows a weekly capacity of up to 40 participants. The schedule is quickly filling up over the summer, meaning that we will be caught up on cycle 2 visits (respecting the 1 year and 3 month time window) by autumn. 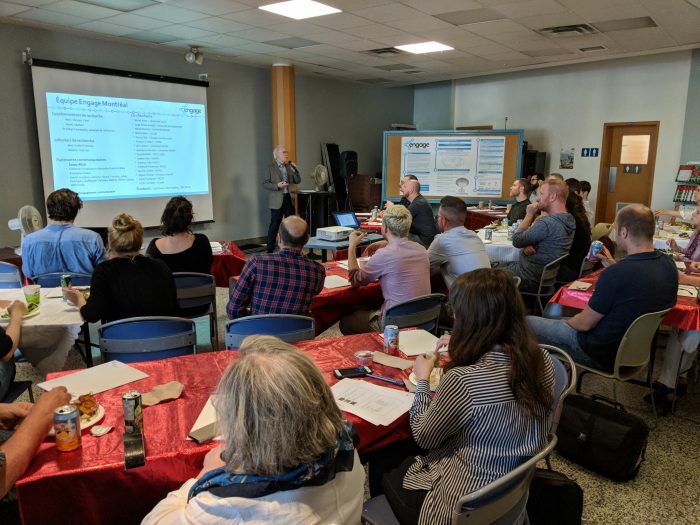 On May 23rd, Engage Montreal has convened a meeting with over 35 local co-investigators, representatives of community organisations, and public health officials. 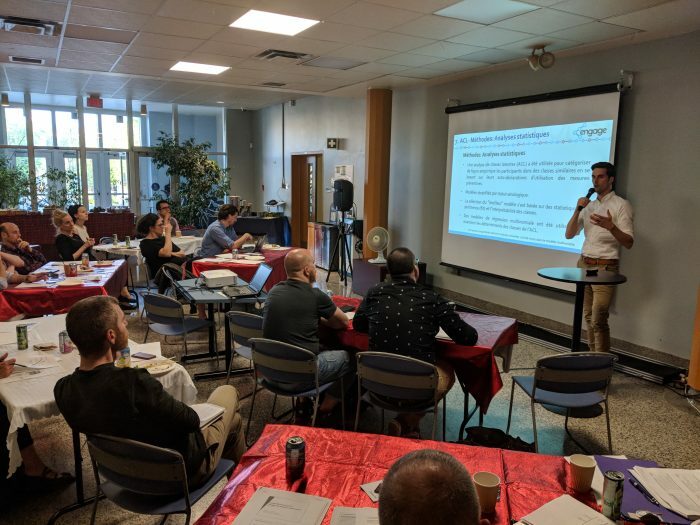 The Engage Montreal team presented the preliminary unweighted findings of the first 910 Engage Montreal participants. The people attending expressed a great level of interest in the breadth of data available, and everyone is eagerly awaiting the final RDS-weighted findings.